Every day this month we’ll be showcasing one of the artists and authors in the new ‘Art of Sherlock Holmes’ project – today it’s artist Bobby Franano. He displayed talent in the visual arts, as well as, music even in his early years. As a musician, Bobby has recorded on many albums. He also has been in 3 videos on MTV with “The Front” & “Bakers Pink” and designed 2 album covers. Bobby is one of the fifteen artists who have created new pieces for The Art of Sherlock Holmes West Palm Beach Edition which is published in May and available now on Kickstarter – The Art of Sherlock Holmes. Every day this month we’ll be showcasing one of the artists and authors in the new ‘Art of Sherlock Holmes’ project – today it’s artist Nuné Asatryan. Nuné Asatryan has been a professional artist and designer for 35 years. Nuné participated as a jury member for selection of nomination of the best artwork at the 7th Annual Student Exhibition, The Fine Arts Center, Englewood, NJ. Her paintings are in the museum of Modern Art of Armenia, in the collection of Government of Armenia, and in private collections in Armenia, Russia, USA, Germany, Belgium, Canada, Iran, Lithuania and Poland. Nuné is also Art Educator at Armory art Center, West Palm Beach. 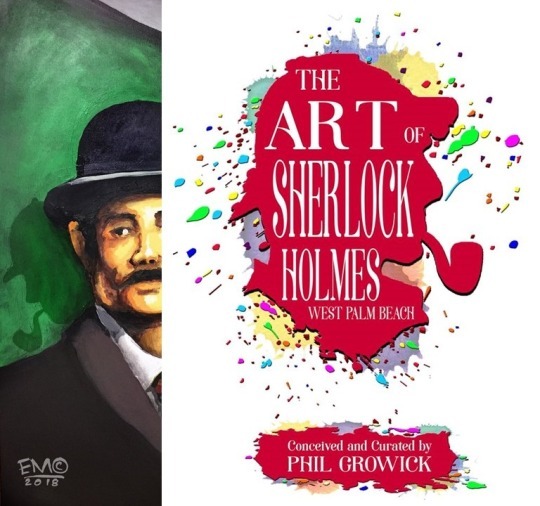 Nuné is one of the fifteen artists who have created new pieces for The Art of Sherlock Holmes West Palm Beach Edition which is published in May and available now on Kickstarter – The Art of Sherlock Holmes. Every day this month we’ll be showcasing one of the artists and authors in the new ‘Art of Sherlock Holmes’ project – today it’s artist Amber Tutwiler. Amber Tutwiler is an emerging artist originally from South Florida. Her work is a meditation on interface; specifically, it is concerned with the interface between our physical, corporeal world and the heterotopic spaces arising from the world. Focusing on an interdisciplinary practice, she works across oil painting, sculpture and installation, audio, video, and performance. 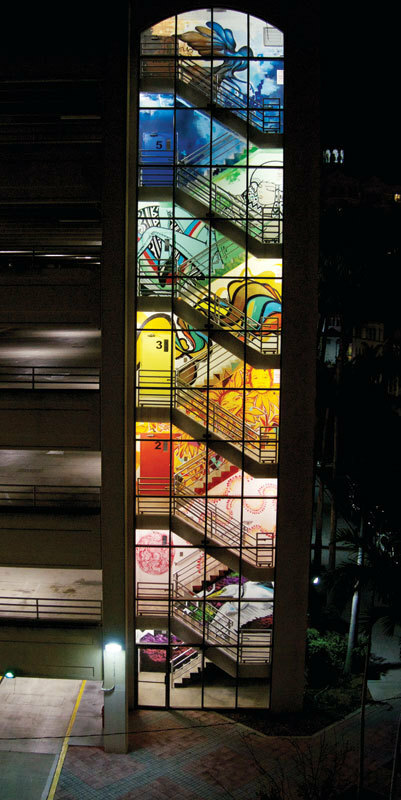 She attended Alexander W. Dreyfoos School of the Arts, Massachusetts College of Art and Design, and received her MFA in Visual Art from Florida Atlantic University (2017). In 2018, she completed a residency at the Armory Art Center in West Palm Beach, Florida. She has won various awards, including the Women in Visual Arts Scholarship, the Thesis and Dissertation Scholarship, and the Williamsburg Painting Award. Tutwiler had her first solo exhibition in 2018, Interface, at the Fritz Gallery in West Palm Beach, and collaborated as Creative Designer with Lauren Carey of Ballet Florida in the immersive dance, Welcome. Her next collaborative performance with Lauren Carey, PULSE, will be at the Kravis Center in March 2019. In 2018, she also founded H/OURS Collective in response to the lack of emerging contemporary art in Palm Beach County. Since, she has organized multiples exhibitions, a performance, and pop-up shows. She is an adjunct instructor at Florida Atlantic University and Palm Beach State College, teaching across painting, sculpture, and drawing. She is currently located in Lantana, FL. Amber is one of fifteen artists who have created new pieces for The Art of Sherlock Holmes West Palm Beach Edition which is published in May and available now on Kickstarter – The Art of Sherlock Holmes.